"What a Wonderful World" was written by songwriters Bob Thiele and George David Weiss, first performed by Louis Armstrong, and released as a single in early fall 1967. Intended as an antidote for the increasingly racially and politically charged climate in the U.S. (and written specifically for Armstrong, who had broad crossover appeal), the song details the singer's delight in the simple enjoyment of everyday life. The song also has a hopeful, optimistic tone with regard to the future, with reference to babies being born into the world and having much to which to look forward. The song was not initially a hit in the States, where it sold less than 1,000 copies, but was a major success in the UK, reaching number one in the UK singles chart. I see trees of green, red roses too. I see them bloom for me and for you, and I think to myself, 'What a wonderful world'... In the sitcom, All in the Family, Mike decides that the world is so screwed-up that he doesn't think he and Gloria should have children. He changes his mind when he hears "What a Wonderful World." The song gradually became something of a standard and reached a new level of popularity when it was included in the soundtrack for the film Good Morning, Vietnam in 1987. In the film, the song plays over a montage of bombings and other violence (similar the use of the song "We'll Meet Again" in the film Dr. Strangelove, or How I Learned to Stop Worrying and Love the Bomb). This is one of the earliest examples of the song being used ironically, which has become something of a cliché in film and television. The song was featured as the theme for the first season of the popular 1990s sitcom Family Matters. It was also used in the film Meet Joe Black and twice in Twelve Monkeys, once emitting from a radio, and then over the ending credits (again ironically). It was sung by Willie Nelson for the 1996 movie Michael. A Willie Nelson version also was used for the "Don't Mess With Texas" anti-littering public service announcement campaign. 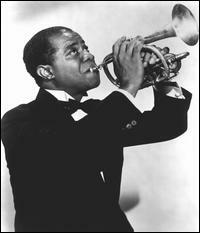 The Louis Armstrong version was also used during a sequence in Michael Moore's film Bowling for Columbine, where it accompanies scenes of violence in a montage about United States intervention in international affairs, as well as having the Joey Ramone cover playing over the ending credits. In the 2005 film, Madagascar it appears as a background song. On the program "Pirate Radio" (airing in Nashville, Tennessee), an acoustic guitar version was used weekly as a music bed; it was also used for the end credits of the last episode in the first radio series of The Hitchhiker's Guide to the Galaxy and later for the closing titles of the corresponding final television episode. It was later used in the first teaser for the Hitchhiker's film, lasting only one stanza before the Earth explodes. It has also been used ironically as the theme music to the BBC series A Life of Grime, and as the closing theme to one series of Grumpy Old Men, in a version performed by the cast of the programme. The Louis Armstrong version was used also in the 2004 Japanese film Swing Girls during a scene where the main characters are chased by a wild boar. Clear Channel included What a Wonderful World on a list of songs that might be inappropriate for airplay in the period just after the September 11, 2001 attacks. In 2006, XM Satellite Radio added What a Wonderful World to its Holiday/Christmas rotation, though there appears to be no precedent for this connection.